Searching for a Redmond water damage restoration contractor? Continental Carpet Care, Inc. has been in the carpet cleaning business for more than 30 years. We specialize in restoring carpet and area rugs that have been water damaged in King County, Washington. We work directly with your insurance company to process claims as efficiently as possible. When you have Redmond water damaged carpeting or rugs, call (425) 559-9995 for emergency service 24/7. 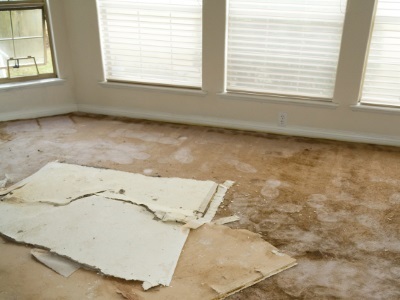 Leave the water damaged mess to Continental Carpet Care, Inc..
Redmond water damage restoration is a job that's best left to the professionals. Continental Carpet Care, Inc. has been salvaging carpet in WA for 30 years. Our first priority is to make sure the area is safe. We remove all unsalvageable property, including sheetrock, then thoroughly dry the entire area with high powered fans. All Continental Carpet Care, Inc. restoral specialists are IICRC certified in water removal and restoration for Washington, the most widely recognized and accepted certification program in the restoration industry. Restore your carpet, upholstery, and other water damaged property by calling Redmond's water damage specialists at Continental Carpet Care, Inc.: (425) 559-9995. We handle water damaged contents safely. When it rains, it pours. Heavy rainfalls, ice dams, leaking windows or doors, burst pipes, toilet overflows, and faulty appliances can all damage Redmond carpet. Whatever the cause, water damaged property in Redmond needs to be dealt with immediately to prevent mold and mildew growth. Continental Carpet Care, Inc. will get on site quickly to assess and contain the water damage. We strip walls down to the studs, if necessary. Our staff will safely remove and dispose of water contaminated sheetrock and other property. Our powerful fans dry the area and room contents thoroughly. We apply sanitizers to prevent mildew. Redmond water damage restoration is our specialty. At Continental Carpet Care, Inc., our first priority is to get rid of any standing water in your Redmond home or office, using a truck-mounted water extraction vacuum. The restoration process begins by using the same high powered vacuum to extract water from your Redmond carpet, area rugs, and carpet padding. We remove damaged sheetrock, then begin the drying process using high intensity fans to remove any remaining dampness. We use an environmentally-safe cleaners and deodorizers that smells fresh and pleasant. Redmond water damaged carpets are thoroughly rinsed via hot water extraction to remove all traces of dirt, mildew, shampoo, and other debris. Once we move everything back into place, your Redmond carpet will look like it was just installed. Call (425) 559-9995 for quality restoral services.